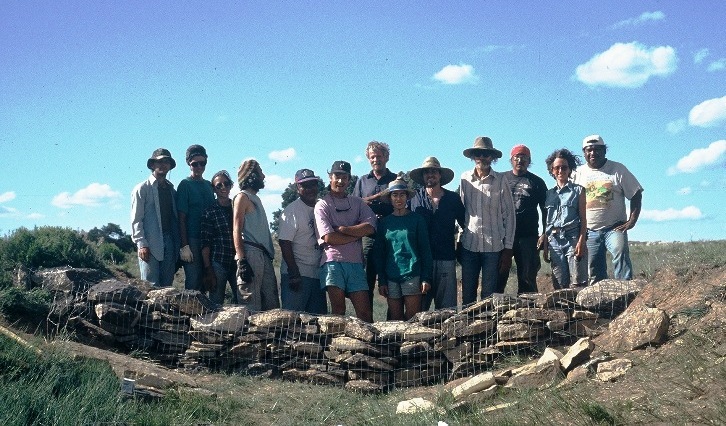 The SPG Teaching Team was invited by two native families living near Black Mesa on the Dineh (Navaho) Nation in NE Arizona to come and offer the Permaculture Design course. We were honored by the invitation, and we knew we would learn more from these native families than they would from us. 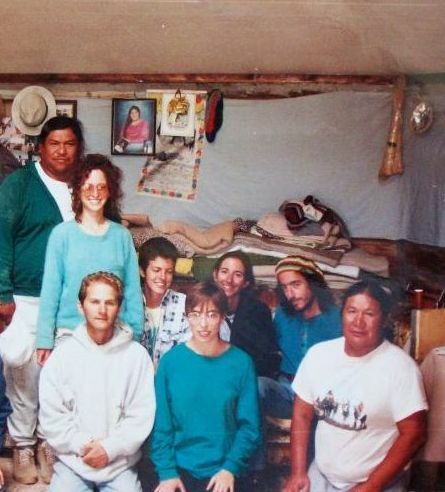 As it turned out we all were able to blend our knowledge together and develop a hybrid system of land restoration and use, which the native residents named Naviculture. The course was free for the five Native Americans who attended, and thirteen other participants attended to help defray the cost of the course. Besides offering all the core teachings on integrated site analysis and design, we worked hard to develop a well defined integrated design for the watershed. 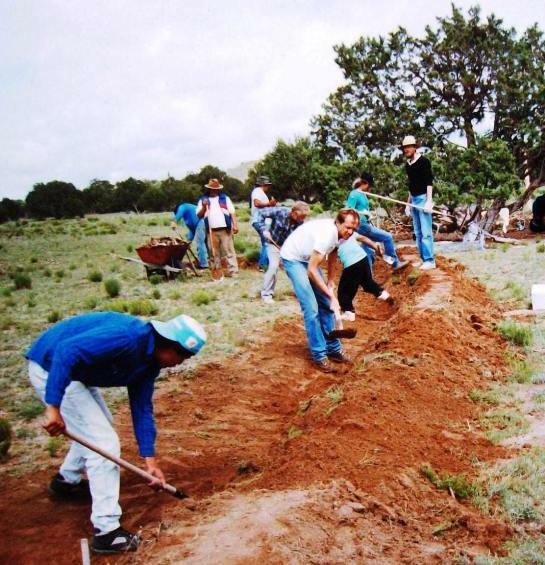 We then worked together to establish water harvesting structures, which could stop further erosion from over grazing and allow us to start planting the native forest and grasses, thus restoring the natural understory that is part of the intact Pinion/Juniper Forest in the area. 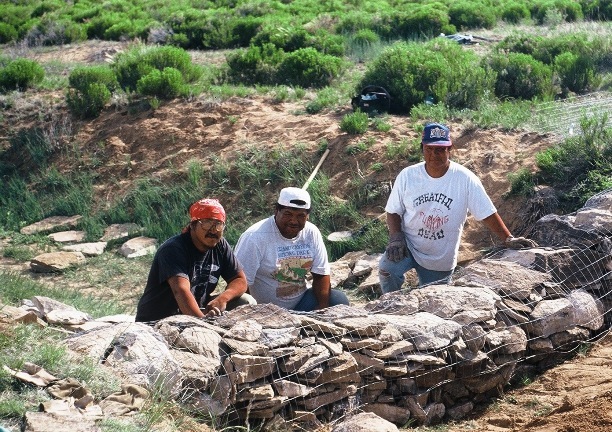 Gabion building across washes to stop erosion, harvest water, and collect organic matter so we can use these moist fertile pockets to restore native vegetation. We also constructed hundreds of one rock check dams in the upper reaches of the watershed to stop erosion at its source. 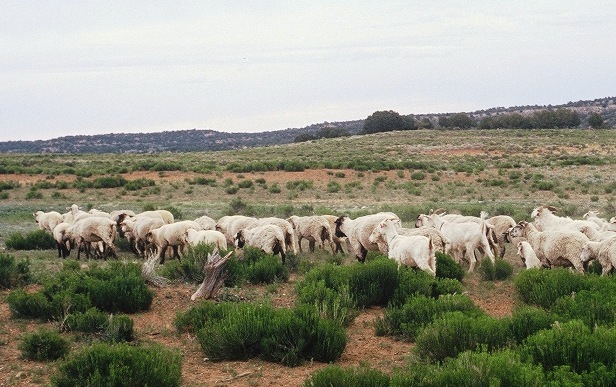 Damaged land due to over-grazing. Traditionally the Dineh people moved their sheep and goats with the seasons, so grass in one area had time to recover, but now that isn’t possible due to fixed settlements and other time commiments. Building swales along contour to spread and sink overland rainwater flow during heavy storms. 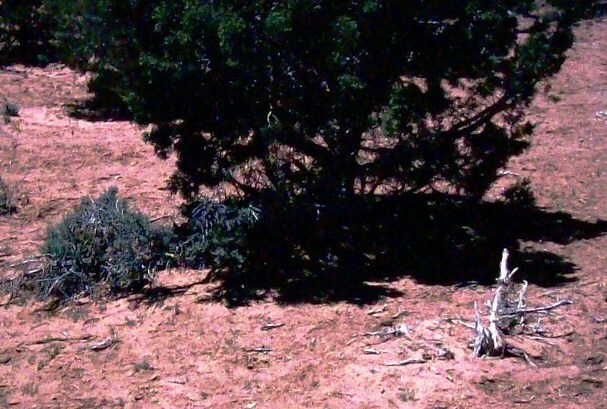 These swales were then planted with juniper and pinyon guilds of native trees and shrubs that were protected from the goats and sheep. 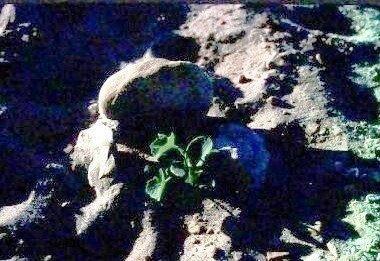 Using a traditional dryland farming technique, we constructed a rock wind shield and water catcher around each native squash and melon plant. Each plant was placed in it’s own small basin to collect the summer rains.